Last month, we took a trip of a lifetime to Italy. I’ve wanted to go forever since it’s the birth land of our maternal grandmother, great-grandparents, and because of my love for pasta and red wine. 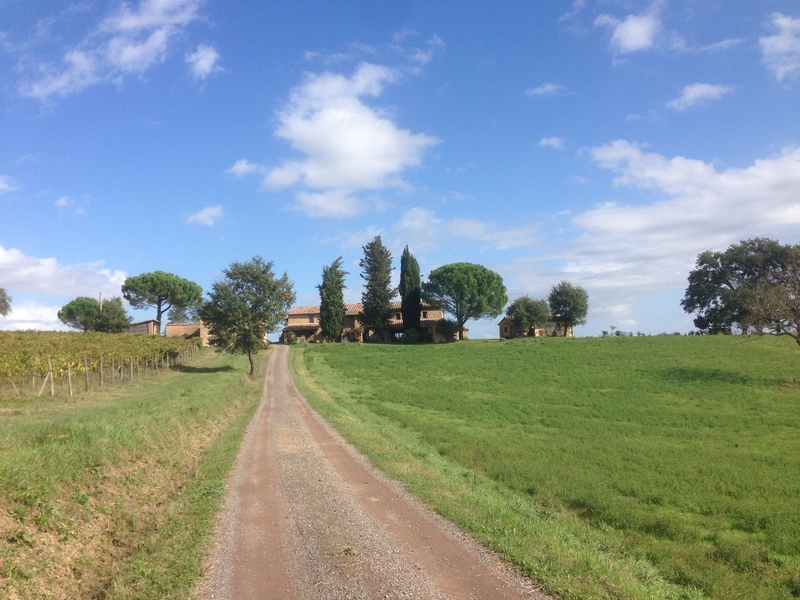 After seeing the movie Under the Tuscan Sun, I couldn’t wait to visit the lush rolling hills and vineyards of Tuscany. I had only been to Milan for two nights when I traveled on a business trip with my spouse in 2004. It was such a tease! On this trip, we flew into Milan and then drove to Levanto near Cinque Terra – five towns perched high above the Italian Riviera. We were in search of the same beautiful pic we saw in National Geographic and found it in Vernazzo after climbing a long steep stone trail. After two nights there, we made our way to the captivating city of Firenze / Florence. On the first day, we received a perfect greeting by a young woman singing opera in the Piazza della republique. We visited the famous Uffizi art gallery and were mesmerized by the majestic 17’ original sculpture of David at the Galleria dell’Accademia. 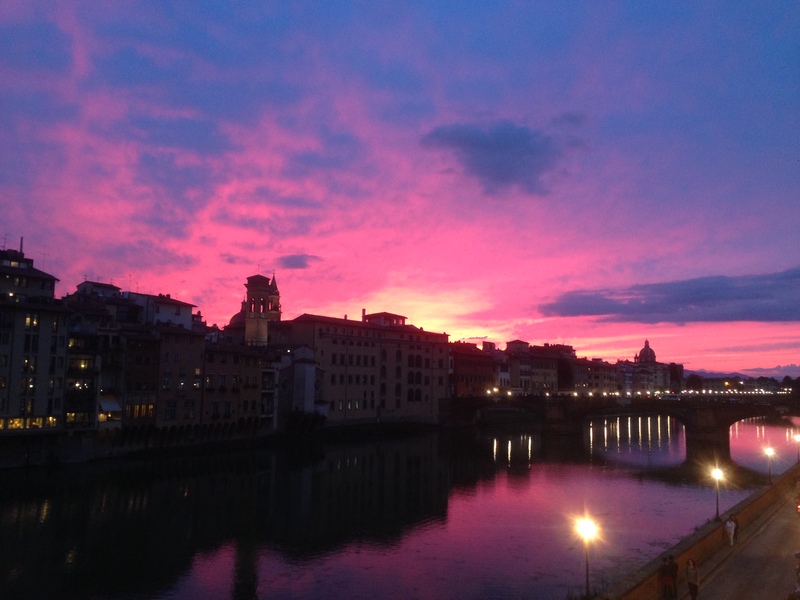 On our last night by chance, we caught this spectacular sunset over the Ponte Vecchio – which is the only medieval bridge not destroyed by the Germans in WWII. Then we traveled down to Tuscany where we were joined by ten friends at a lovely villa with a small vineyard and rolling hillsides where deer grazed. We had the most wonderful time visiting the quaint towns of San Gimignano, Siena, and Montalcino, cooking pasta, drinking wine, laughing and dancing together. That’s what made it a trip of a lifetime! It’s a memory I’ll always cherish. I read another great quote about traveling by St. Augustine: “The world is a book and those who do not travel only read one page.” It’s true that traveling opens us up to new people, cultures, and experiences. It’s a wonderful and worthwhile adventure. Like the quote I opened with though, it also gives us perspective and appreciation. It gives you a new love for life. Enjoy the road wherever it may take you! 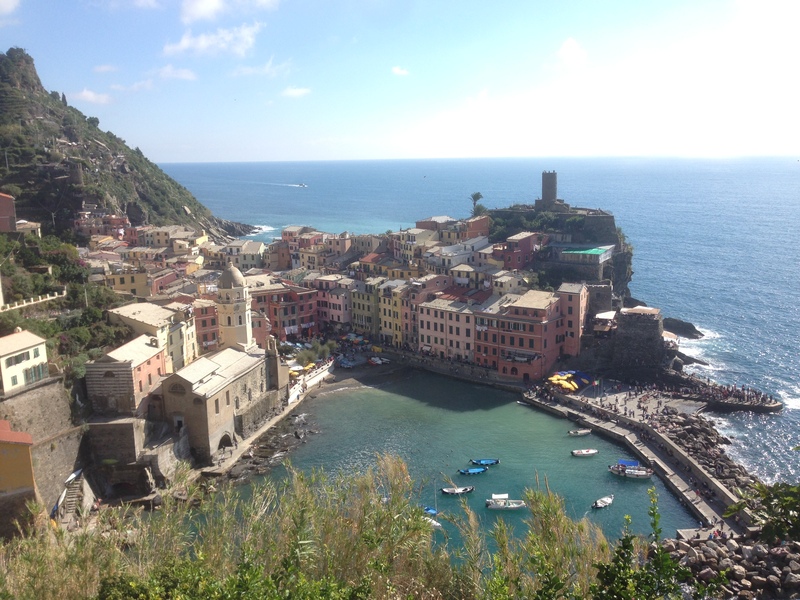 This entry was posted in Heartwarming and tagged Cinque Terra, Florence, Italy, traveling, Tuscany by Michelle. Bookmark the permalink. You are a gifted travel guide. Thanks for sharing your journey. The images and story telling are captivating indeed. Thank you Mischa – Glad you enjoyed the journey!